Description: Versatile rovers that can by used for construction, hauling, and exploring will be extremely important in the development of any permanent Mars Settlement. Here, a rover digs a hole to construct a foundation for a new building. 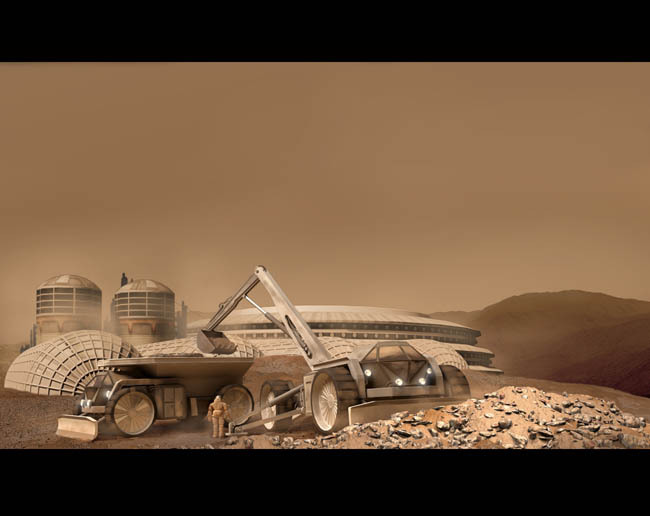 Medium/Tools Used: Building and rovers modelled in 3D Studio Max, terrian created in Vue6, composited in Photoshop.